Monday is the day that even Nutella can’t put right. Unless, of course, you are on holiday. But, tell me, are you on holiday now? Are you? Or are you getting ready to face a day which you would rather exchange for an extra day of weekend? Well, instead of praying for a miracle, let me offer you a practical solution to make you jump out of bed bursting with excitement and ready to face Mondays and all they have to offer. 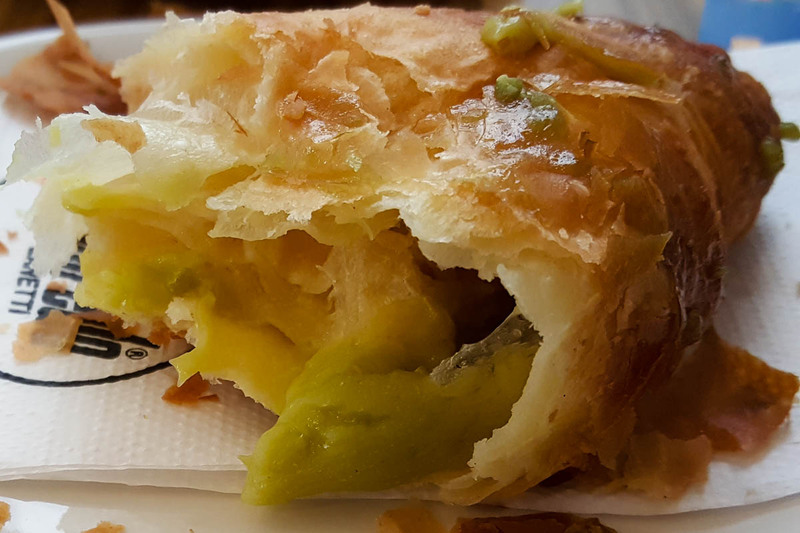 Yep, a thick gooey substance made of ground pistachio nuts, sugar and oil, which, spread on a slice of nice bread, can turn your Monday breakfast into this week’s food event. on the tongue. Just a small spoonful is able to make you feel full for hours. Personally, I prefer it without the chocolate as it feels lighter and smoother. Also, the actual pistachio taste seems to come through much more fragrant and concentrated. 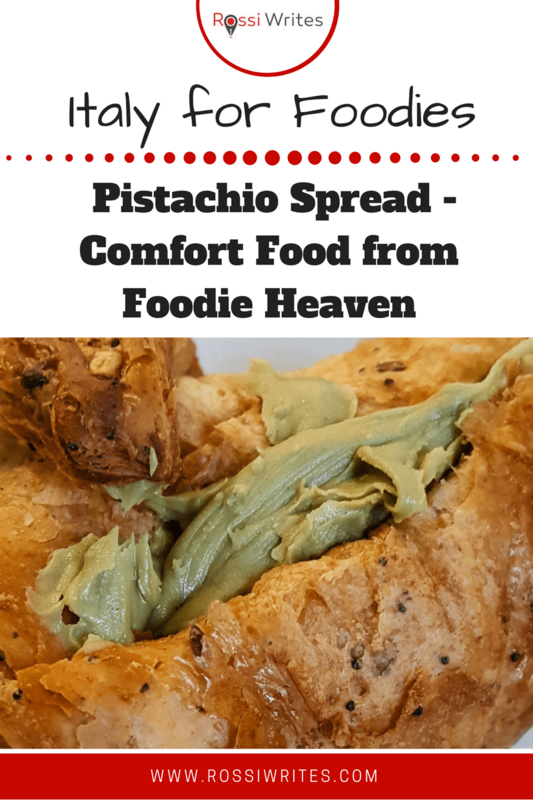 There are many recipes for pistachio spread available online, if you want to give it a try at home. Or, you can ask at your local Italian deli to see if they stock it. also called ‘Sicily’s green gold’. This article does a great job describing the reasons for the moniker. And having tasted Bronte pistachios myself on several occasions (both in gelatos and pistachio spreads), I can only urge you to make the extra effort to locate a spread made with them. In any case, on a grey and uninspiring Monday morning, any pistachio spread will do the job. So, make sure that you stock up. Don’t limit yourself to spreading it on a piece of bread or toast, though. 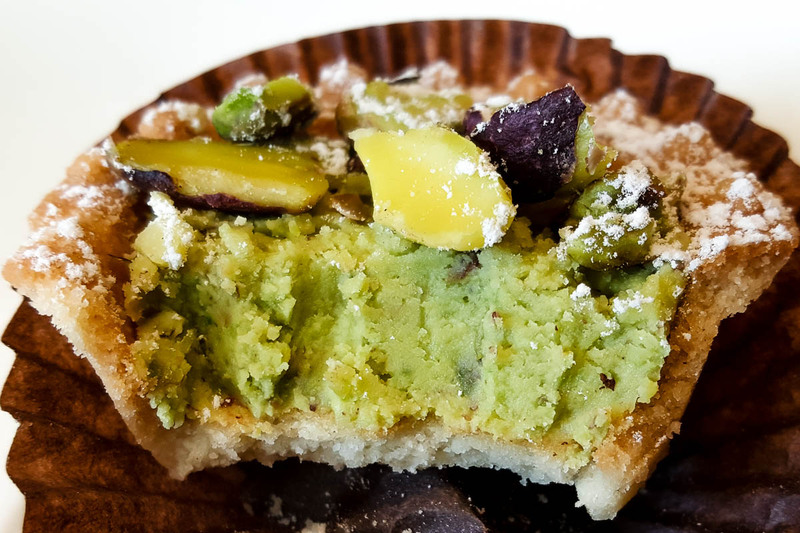 For pistachio spread can also be used as brioche, croissant and pancake filling as well as to stuff all kinds of sweets with it. 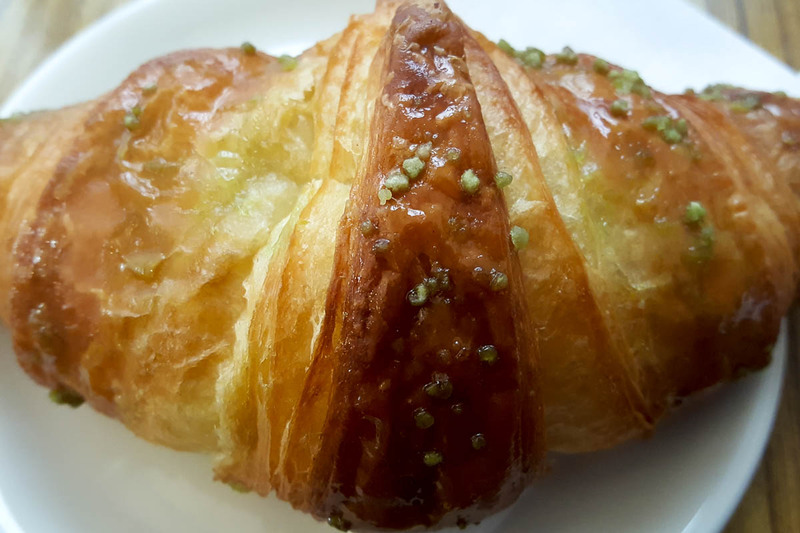 One of my most favourite things in the world is to have a brioche with pistachio cream served by my local cafe for breakfast. If you are planning a trip to Italy, definitely give it a try. You will see that it tastes rather divine. Plus, it doesn’t have the same heaviness to it as a chocolate brioche. Just, a small warning. 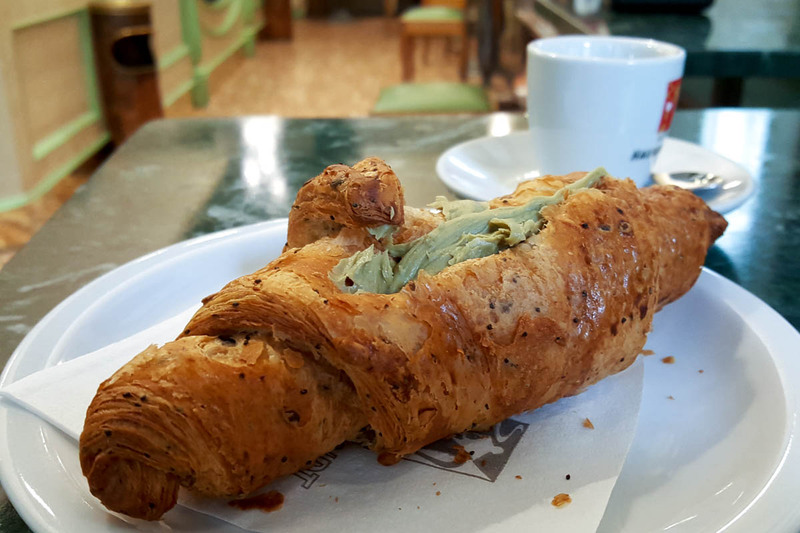 When you order it, make sure that you ask for it the right way, by pronouncing ‘pista-cchi-o’ with a big and juicy accent on the ‘cch‘ which is vocalised as ‘k‘ in Italian. I learned this the hard way, after Britishising it to ‘pistaashous’, and I was immediately put right by the no nonsensical lady behind the counter. Or, as they say, once bitten, twice the pistacchios. Now that you know the secret of making Monday mornings feel great, don’t stop there. Any morning of the week can be just a tad more special and much more palatable with a secret jar of pistachio spread in the corner of the larder. What is your trick to face up Monday mornings? Let me know.